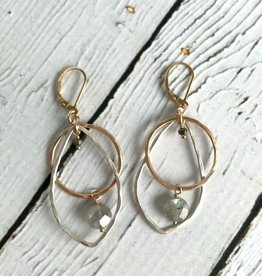 Handmade Hammered 14kt gold fill and sterling open circle and teardrop shape with pyrite and labradorite drop earring. Earrings measure approximately 2.25" long and .75" wide. Handmade in the Philadelphia studio of J&I. 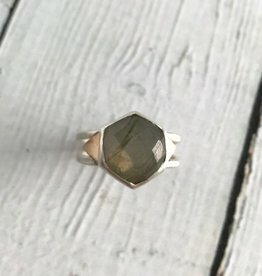 Handmade Hexagonal Labradorite Stone Ring w/ 14k Gold Triangle Accents, Size 7. 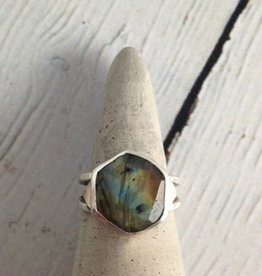 RIng’s labradorite stone measures approximately .5” x .5”. 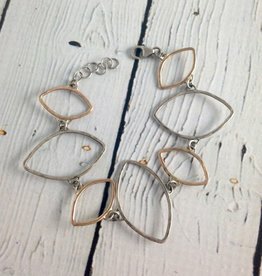 Handmade by our friends at J&I Jewelry, in their Philadelphia studio. 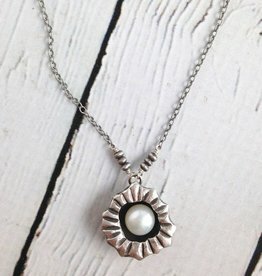 Handmade 3mm White FWP Necklace with Oxidized Sterling Chain. 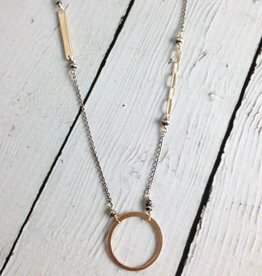 Necklace measures 18” long with 2.5” extension. Handmade by our friends at J&I Jewelry, in their Philadelphia studio. 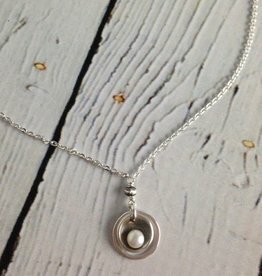 Handmade Sterling Bezel Set White Coin Pearl with CZ on Chain Necklace. 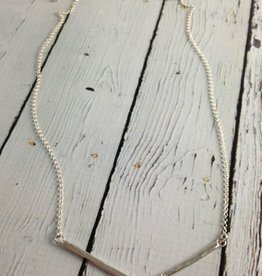 Necklace measures 19.5” long with 2.5” extension. Handmade by our friends at J&I Jewelry, in their Philadelphia studio. 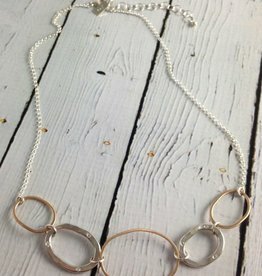 Necklace measures 20” long with 2.25” extension. 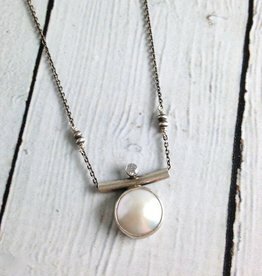 Handmade Oxidized Sterling Cupped White Pearl Necklace. 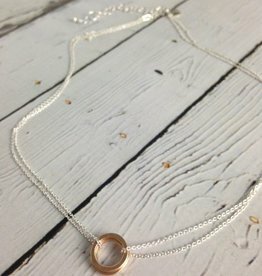 Necklace measures 18” long with 2.25” extension. Pendant measures approximately .5” x .5”. 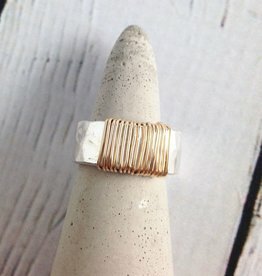 Handmade by our friends at J&I Jewelry, in their Philadelphia studio. 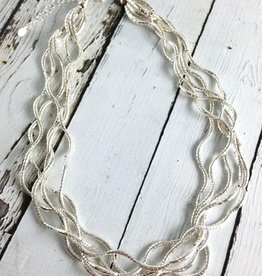 Silver Multi Twist Bead Necklace. 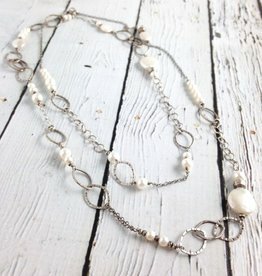 Handmade beads twist to make this super cool necklace! 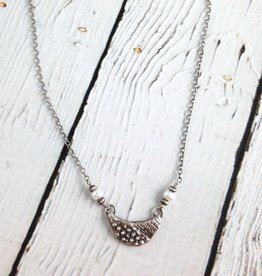 This necklace is a stunner in person. 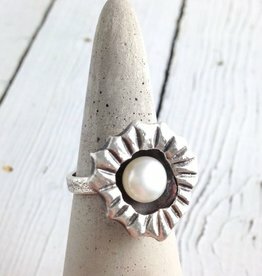 Our shop owner wears hers all the time with dresses or even just a t-shirt and jeans. 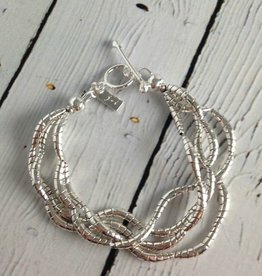 Silver Multi Twist Bead Bracelet. 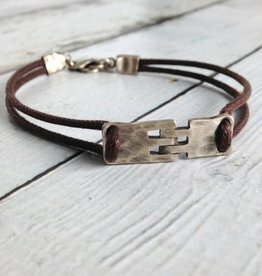 Handmade beads twist to make this magically cool bracelet. Bracelet measures 7.5” long with toggle closure. Handmade by our friends at J&I Jewelry, in their Philadelphia studio. 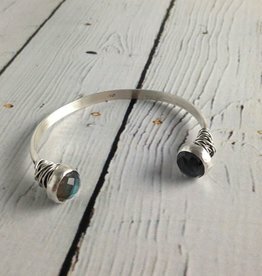 Handmade Etched Open Sterling Bangle with Faceted Labradorite End Caps. Bangle is about 5.5” long. Can be adjusted to fit your wrist! Handmade by our friends at J&I Jewelry, in their Philadelphia studio. 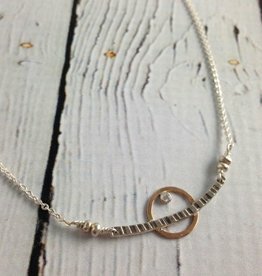 Handmade Hammered 14kt goldfill and sterling ovals necklace with flush set 1.5mm white cz on 19" chain. 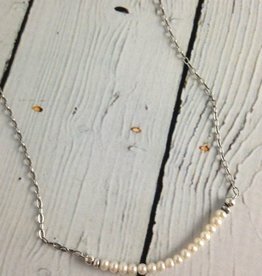 Necklace measures 18.5” long with 2.5” extension. Handmade in the Philadelphia studio of J&I. 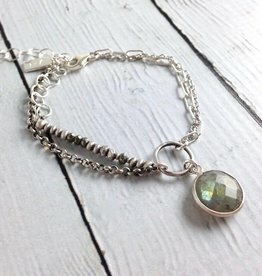 Handmade Multistrand labradorite chain sterling bracelet. Photos just don't do this beauty justice. It's a stunner on. Bracelet measures 6.5” and features a 1” extension. Handmade in the Philadelphia studio of J&I. 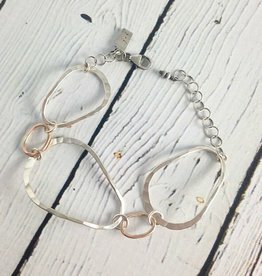 Bracelet measures 8.5” with clasp closure. 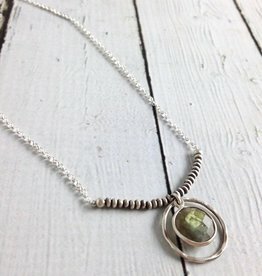 Brown cord and oxidized sterling silver hinge piece. Handmade in the Philadelphia studio of J&I.